diywardrobes.co.uk is a service from Ambisaw Ltd. Ambisaw supplies web technology to the panel product processing industry and our systems have been used to process thousands of orders. We’ve used our technology to make ordering custom size cabinets and wardrobes over the Internet as quick and easy as possible. 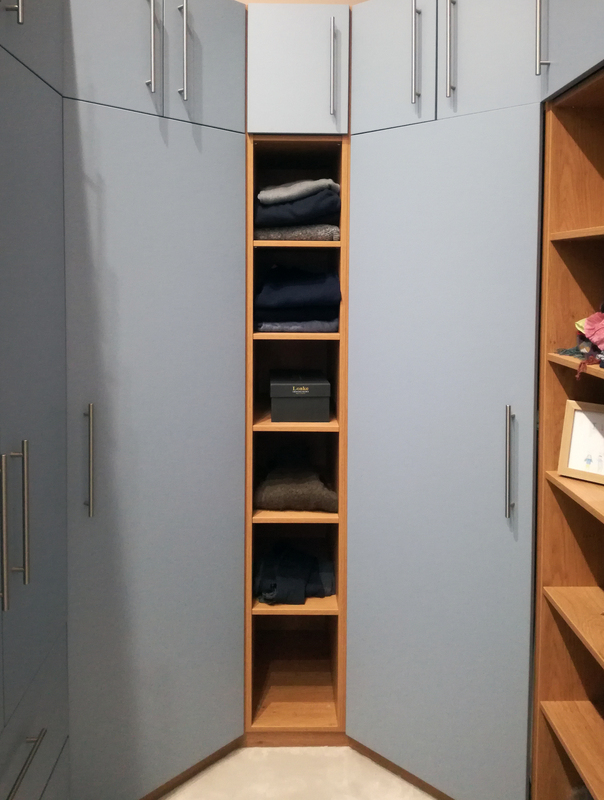 When you design your cabinets online at www.diywardrobes.co.uk we do all the work to drive computer controlled cutting machinery to give you exactly what you asked for to within a 0.1mm accuracy. Our aim is to give you a comprehensive set of parts to build your cabinets with confidence and pleasure! 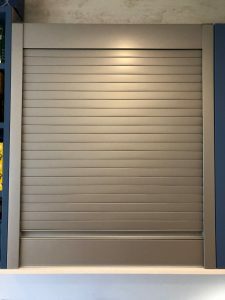 A tambour door is one that rolls up. 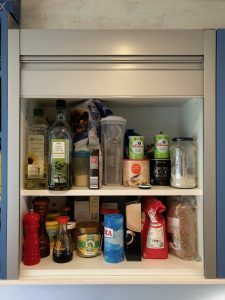 This is an ideal solution for a cupboard with items which are frequently used during cooking or baking as content is accessible whilst the door is up – without a door being in the way. Once the tambour door is down, all is hidden and out of sight. 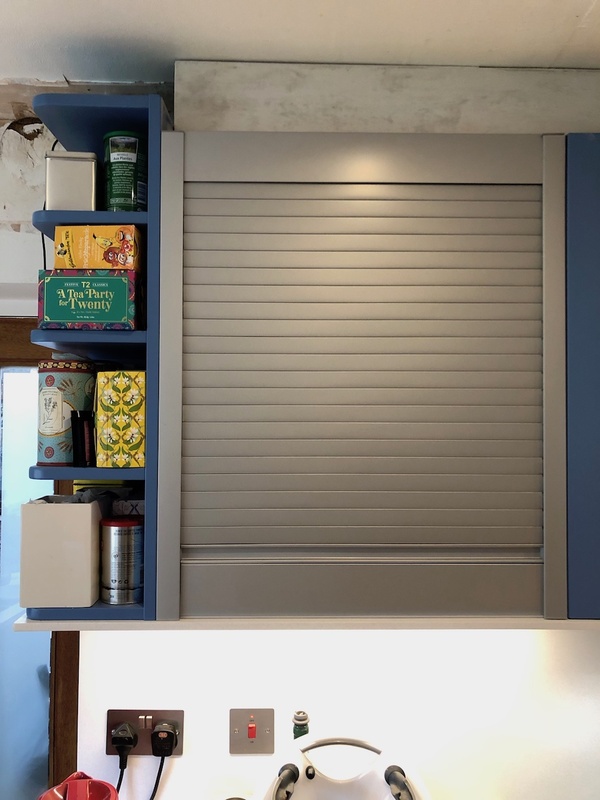 A tambour door works well as well as a door for a wall-hung unit that comes right down on to the worktop – i.e. toaster or kettle on the worktop are quickly hidden behind the roll-up door for a clean-look kitchen counter. Anna designed this contemporary walk-in wardrobe. It features Winchester Oak carcasses from Egger (H1381 ST11) and Denim (U540 ST9) frontages. It comprises of 9 separate cabinets.